Jules Michelet wrote both short and lengthy works, including the monumental 19-volume Histoire de France. He visualized himself as a champion of the people and wrote with great emotional power. His innovation was to try to write from the point of the nation as a whole, not just that of great persons or groups. He was extremely sympathetic to the French Revolution, and pictured the whole world watching it "conscious that France at her own risk and peril is acting for the entire human race." After his second marriage to Athénaïs Mialaret, he co-wrote with her a number of books on natural history, including L'Oiseau (1856), L'Insecte (1857), La Mer (1861), and La Montagne (1868). 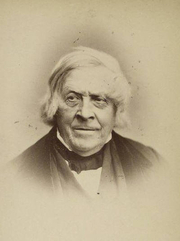 Jules Michelet is currently considered a "single author." If one or more works are by a distinct, homonymous authors, go ahead and split the author. Jules Michelet is composed of 6 names. You can examine and separate out names.